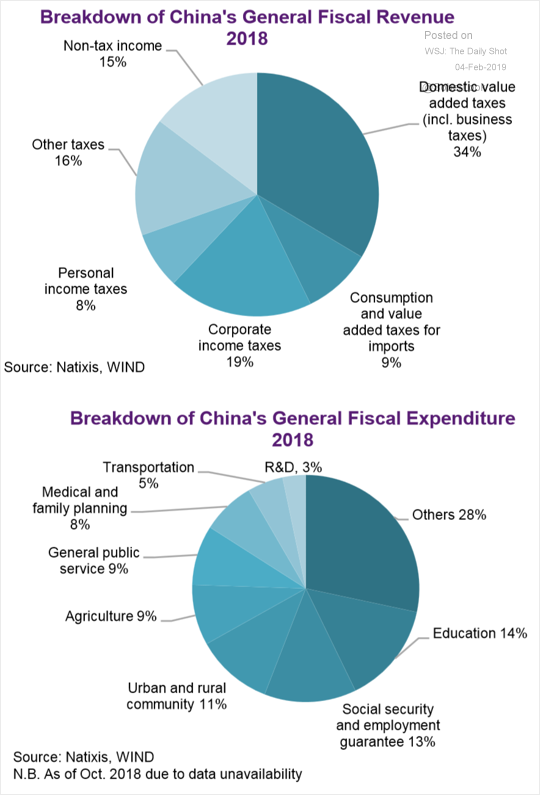 China: Below is the breakdown of fiscal revenues and expenditures. 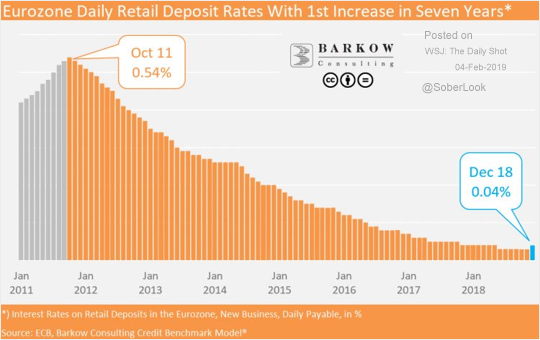 The Eurozone: The average retail deposit rate ticked higher for the first time in seven years. 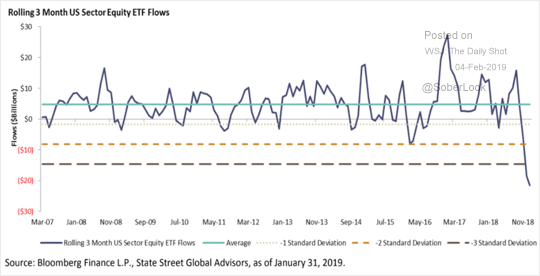 Equities: Sector funds saw substantial outflows over the past three months. 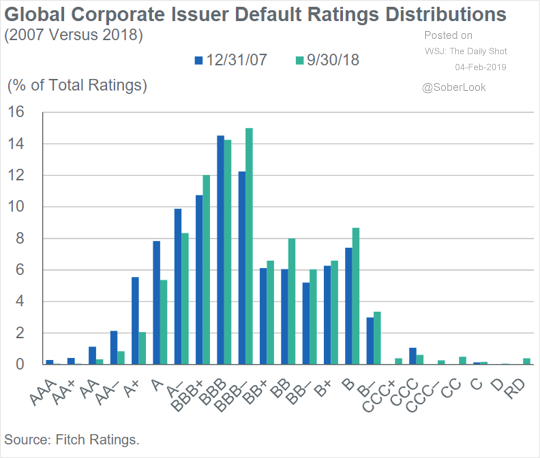 Credit: This chart shows the shift in credit ratings distribution since 2007. 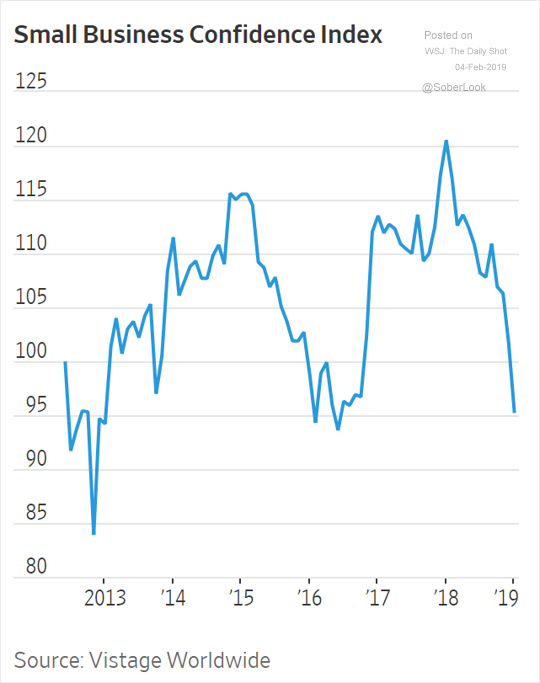 The dropoff after BBB- is due to the boundary between investment-grade and high-yield. 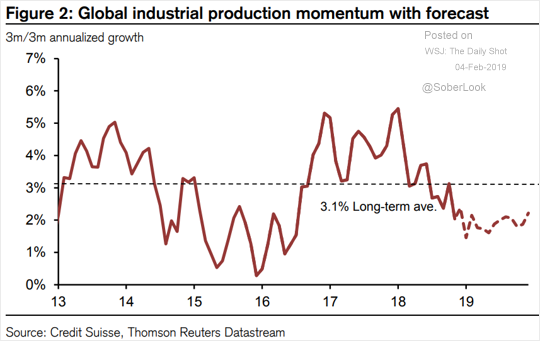 Global Developments: Industrial production momentum is expected to remain soft.